For medical care and treatment, there’s one name you can trust – Bhupendra Patel, MD. 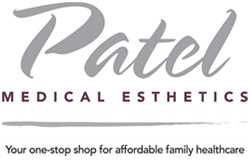 Here at Patel Medical Esthetics, Dr. Patel runs a warm and friendly medical practice. He offers the most advanced treatment and care for your medical needs. At the same time, he makes sure you and your family feel comfortable and at home during your time with him. Want to know more about Dr. Patel? Here’s what his patients have to say about him.